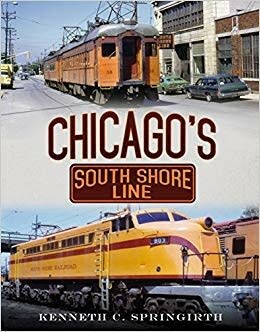 Chicago's South Shore Line is a photographic essay of the last interurban electric railroad operating in the United States. Completed as the Chicago, Lake Shore & South Bend Railway (CLS&SBR) connecting South Bend, Indiana, with Pullman, Illinois, in 1909, the line went into receivership in 1925. It reorganized as the Chicago South Shore & South Bend Railroad (CSS&SBR) which rebuilt the railroad and provided direct passenger service from South Bend to downtown Chicago. The Great Depression forced the railroad into bankruptcy in 1933 but reorganized in 1938 and handled record ridership during World War II. After the Chesapeake & Ohio Railroad acquired the railroad in 1970, the electric freight service was dieselized. Soaring passenger deficits resulted in the formation of the Northern Indiana Commuter Transportation District (NICDT). Beginning in 1984, the Venango River Corporation operated the line until it went bankrupt in 1988. The Anacostia & Pacific Company began operating the freight service in 1990, and NICDT handles passenger service. 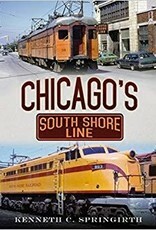 Chicago's South Shore Line documents the history of this railway that has survived obstacles to maintain passenger service over its original route.